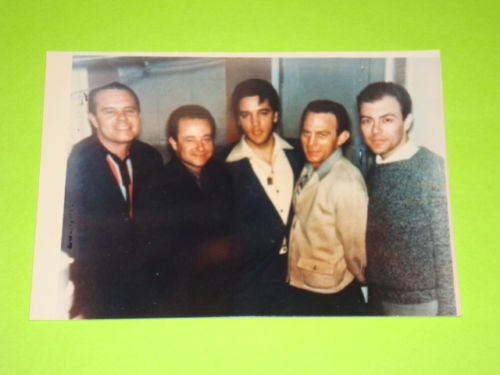 Thissale is for an Elvis Presley and The Jordanaires 3 1/2 x 5 Group Photo. This is a very early photo. This photo is in excellent condition. If you are an Elvis and Jordanaires fan, this is a great photo to add to your collection. This photo comes from my own personal collection and smoke-free environment. International Buyers Welcome - Email Me For Shipping Charges! PLEASE SEE THE MANY OTHER GREAT ITEMS I HAVE IN MY STORE!